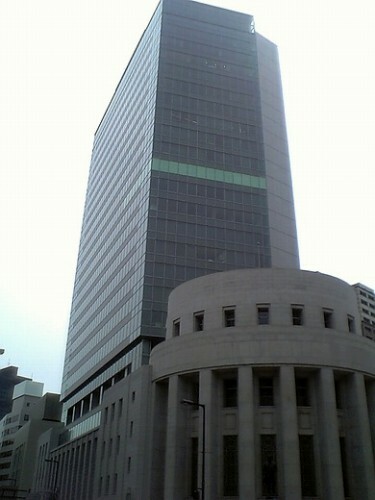 The former Osaka Securities building, built in 1935, deteriorated and was replaced with a 24-storey high-rise building. It inherited the dome facade, which was a symbol of the former building and the securities plaza inside the dome. Both wings of its external facade were faithfully reproduced to resemble the original. ●Other: Keihan Line: Kitahama Station.